Gelish and Morgan Taylor's Make A Splash Summer 2018 Collection features six vibrant shades and a shimmery topper. Shades include Flip Flops & Tube Tops, a fuschia shimmer, Flamingo Float, a coral pink shimmer, You've Got Tan-gerine Lines, an orange neon crème, Limónade in the Shade, a green neon crème, Feeling Swimsical, a teal crème, One Piece or Two?, a purple crème, and Cellophane Coat, an iridescent overlay. 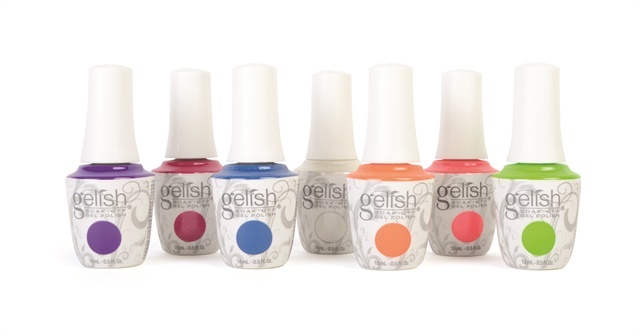 For more information, visit Gelish and Morgan Taylor.